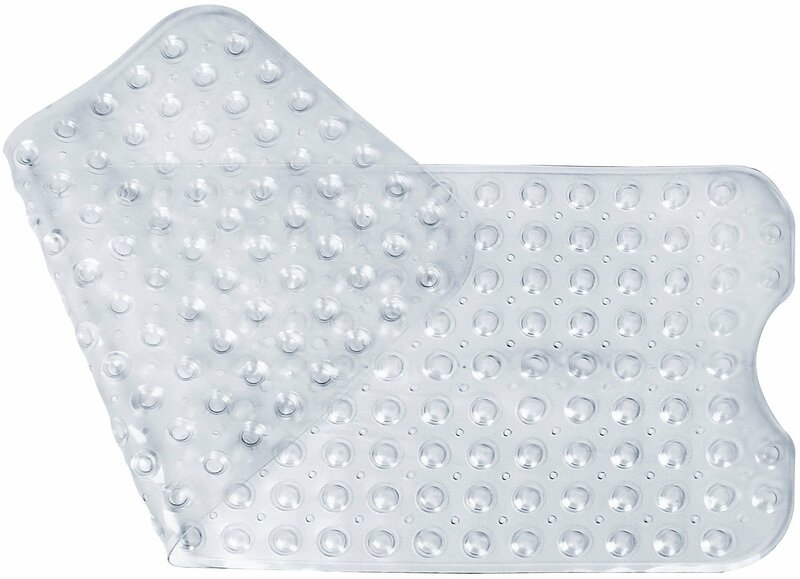 EXTRA LONG & STRONG SUCTIONS – 39″ (100cm) L x 16″ (40 cm) W, this extra long bath mat provides effective slip resistance in the bathtub. 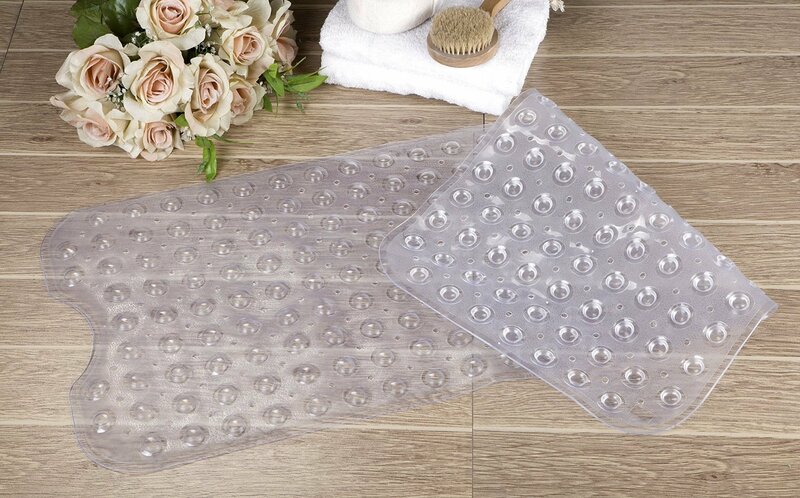 Once hundreds of suction cups are pressed into place adhere firmly to the floor of a tub or shower stall and will not shift or slide when you step on or off. NOT SUITABLE FOR TEXTURED SURFACES. 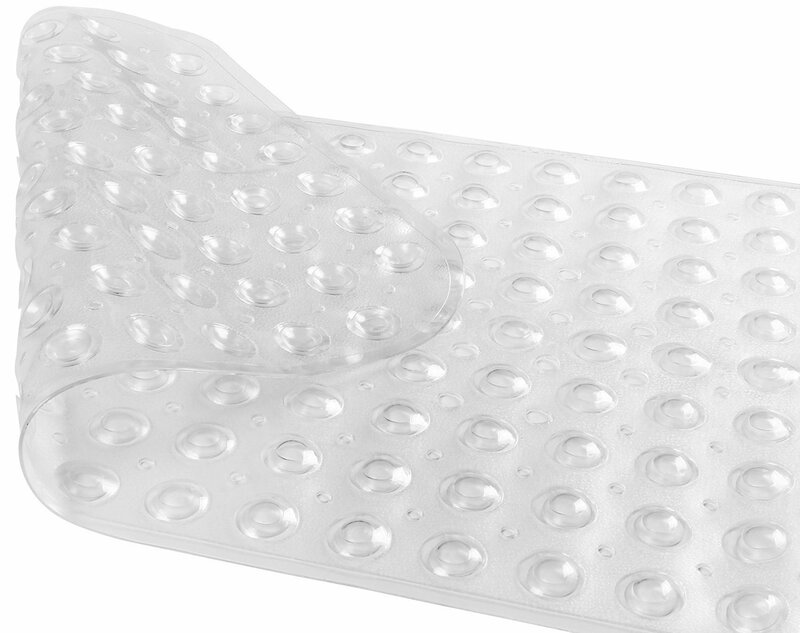 SAFE IS No.1 – Made of high quality REACH standard PVC, the soft bath mat is allergen-free, safe and free from BPA. 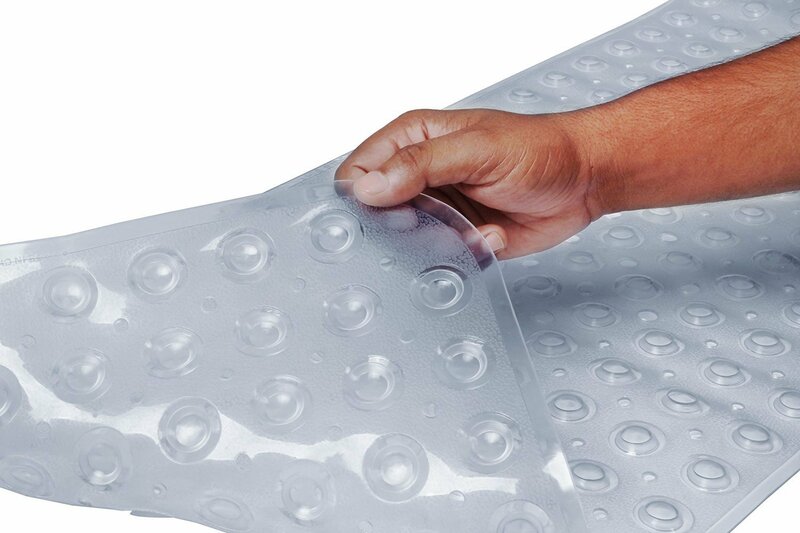 The mat comes with beautiful transparent color. Great for bathtubs and shower stalls in homes, gyms, hospitals, hotels, and other living facilities where requires the highest standards on the safety and quality. EASY-TO-CLEAN – Professionally constructed to last and can be easily cleaned under running water. It is also machine washable. Recommend to clean with detergent and let it air dry. 100% SATISFACTION GUARANTEED – This shower mat comes with return & money-back-guarantee. So order now, and happy and safety home is in your hand !